Hiking is, in itself, a meditation. And Nature is the surest guide to connecting with your own essential nature. I just enjoy bringing these two elements together in a conscious way to ensure a meaningful & vivid experience of the now. As a lifetime hiker and after a decade of facilitating meditations, it is my sincere pleasure to bring these two harmonious elements together. Let me take you to a hidden gem destination in the mountains that cradle the beautiful Ojai valley. Along the way, we will practice mindfulness of the now - bringing consciousness to all of our senses, aided by the gifts of nature's beauty - so that we may remember and awaken to life's great gift. We will also enjoy several short recorded meditations (pre-programed mp3 players provided). You may sample the style of my guided journeys by listening to any of the recordings listed in the 'Meditations For Streaming' page of this website. The hike itself is moderate and should not be a strain to anyone in reasonable health. Our trek of 2.5 miles generally takes about 2hrs (including meditation time). The drive to the trailhead is approximately 20mins from downtown Ojai. My service includes transportation from anywhere in the Ojai Valley. I have room for 6 passengers to ride along. Or directions can be provided if private transportation is your preference. 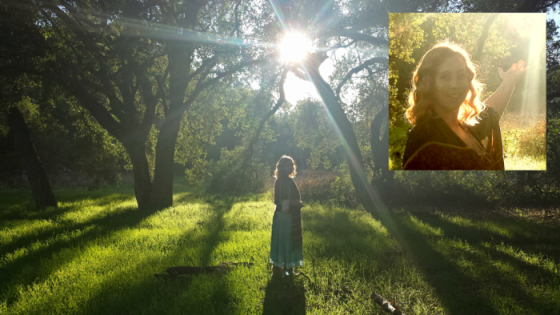 If you are coming to Ojai to be restored, replenished and inspired... grant yourself this - time well spent, with nature, with you. Guided meditation hikes are offered by appointment. The fee, per person, is $30 for groups of 3 or under and $25 per person in groups of 4 or more (solo hiker $60). Reservations can be made via the contact form on this page.